We sell two types of oxygen sensors: soil and fast response. 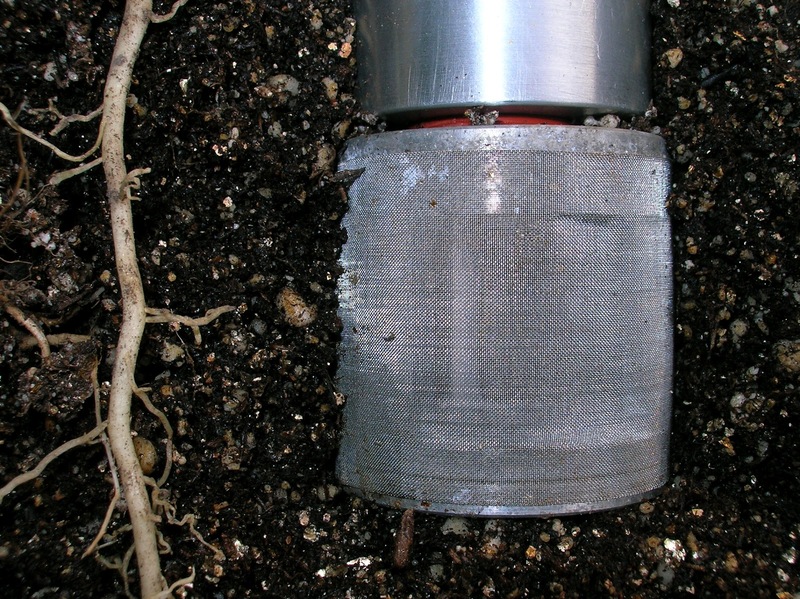 The soil sensor is designed for direct burial and includes a diffusion head, which has a screen that allows the sensor to measure a larger soil volume. 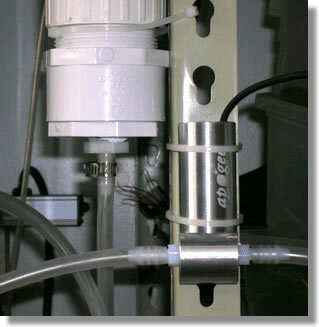 The fast response sensor is most often combined with the flow-through head for laboratory applications. The table below compares the two sensor types. Two values are necessary for calibration: offset and multiplier. The offset is the measured voltage when the sensor is in pure Nitrogen gas. It can also be approximated using the table above. The multiplier uses ambient air in a well ventilated area as the standard, which is known to be 20.95% oxygen. The equation below shows how the multiplier is obtained for a soil sensor using the generic numbers. Percent Oxygen is then calculated by the following equation. An example of these calculations is also in the manual for the sensor. ﻿﻿This multiplier is valid for the current elevation, pressure, temperature, and humidity. We have developed a paper to help you compensate for changes in these parameters: "Understanding Oxygen in Air" (PDF). The effect of temperature follows the Ideal Gas Law (PV=nRT). Our oxygen sensors include a temperature sensor in the body to make accurate measurements of the internal, sensor body temperature. The temperature sensor is either a thermocouple or a thermistor. These sensors can be easily read with a Campbell Scientific datalogger. For information about reading the output of the thermistor without a datalogger, please see this blog by Adam Del Toro: How to take IRR Temperature Measurements without a Datalogger. We are often asked why we include a heater in this sensor. A small heater is necessary to keep the sensor about 1 C above ambient temperature, which keeps moisture from condensing on the porous gas-diffusion membrane of the sensor. If moisture condenses on this membrane the sensor output will immediately flatline and begin to slowly decrease. The heater draws only 74 mW when powered by 12 V. This is a very small power draw and we recommend that everyone power the heater in soil environments. 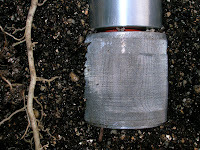 If moisture condenses on the sensor it must be placed in a dry location until the readings resume. The heater is not powerful enough to dry the sensor once moisture has condensed on the membrane. The sensor should be mounted in a vertical position with the head down. This allows the electrolyte inside to always be in contact with the electrodes. With these considerations you should be ready to make accurate measurements.